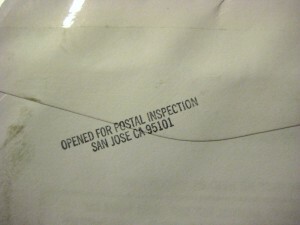 The post office inspected my mail recently. The envelope was neatly opened at the top and taped closed again. I wonder if it was a random grab or if they were looking for something. It was a presorted mass-mailing, so I’m guessing it was just a random check. Lucky me.